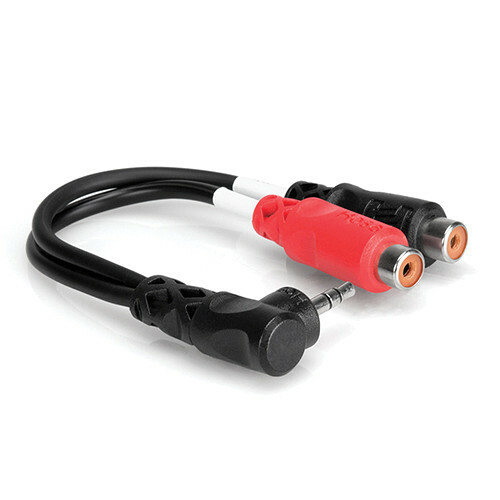 Hosa Technology Stereo 3.5mm Mini Male Angled to 2 RCA Female Y-Cable - 6"
Box Dimensions (LxWxH) 5.2 x 2.3 x 0.8"
Stereo Mini Male Angled to 2 RCA Female Y-Cable - 6" is rated 5.0 out of 5 by 2. Rated 5 out of 5 by Muharrem from Simple but efficient. It is rare to find it.